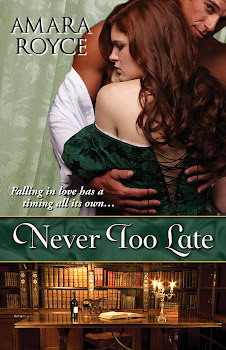 As I mentioned in a previous post, my publisher Kensington has released an eKensington Sampler - Spring 2013, which includes a little blurb and excerpt from NEVER TOO LATE. The eKensington Sampler is available at Amazon and Kobo and probably elsewhere too (I haven't found it on Barnes and Noble yet). The sampler includes blurbs and excerpts from several upcoming eKensington releases, all of which sound intriguing! Serendipitously, it turns out that I have the centerfold! This means that the booklet naturally opens to my book's blurb! I am giving away 20 print copies of the eKensington Sampler - Spring 2013 free upon request. First come, first served until 20 copies are gone. If you'd like your very own print copy of the eKensington Sampler - Spring 2013, click on Contact tab and e-mail me your mailing address. In your e-mail, let me know if you'd like me to sign your copy. While this isn't a contest or sweepstakes, I'm laying down a couple of rules anyway: 1. This is open to those 18 yrs old or older. 2. This is open worldwide--I'll happily mail internationally.